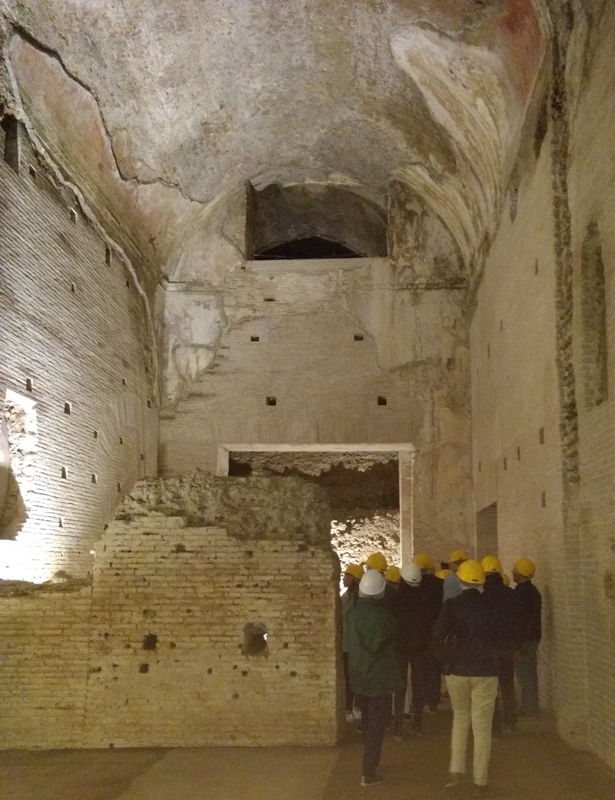 The History Blog » Blog Archive » Nero’s Domus Aurea blew my mind. Nero’s Domus Aurea blew my mind. Technically it qualifies as one of Rome’s hidden gems simply because it is so enormously overshadowed by its neighbor, the Colosseum, which was built on the site of an artificial lake that had provided a lovely prospect to Nero’s massive palace on the Oppian Hill above. It’s weird to think of it as hidden, however, because it was just so insanely huge in its day. Nero took advantage of the Great Fire of 64 A.D. to confiscate a stretch of land in central Rome more than 80 hectares in area. By the time of his death four years later, the palace almost entirely covered three of the seven hills, and it wasn’t even finished yet. Lavish beyond anything that had been seen before, ingeniously designed to be cross-lit with windows and skylights galore, the palace was really a complex of pavilions linked by grand open spaces that could be used in a myriad of ways. The interior was decorated with exquisite frescoes, marble inlays, mosaics and gilded stucco reliefs that reflected the light to create dazzling optical illusions. 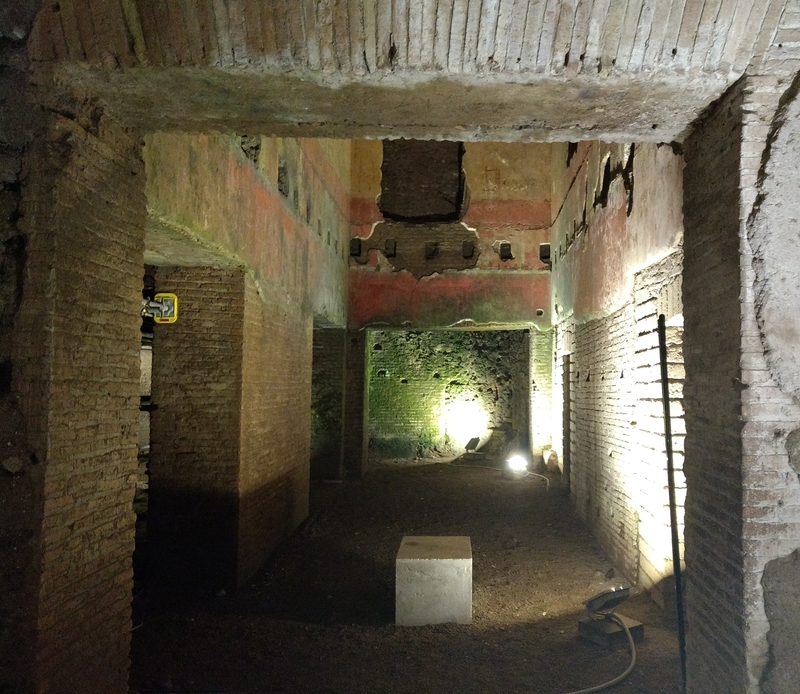 It was this play of light and shine that gave the Domus Aurea its name. Deliberately destroyed by Vespasian (r. 69-79 A.D.) to erase the memory of Nero and his works from Roman history — it was Vespasian who had the lake drained to build the Colosseum as a symbolic return of Nero’s purloined property to the people of Rome — the ruins of the imperial palace were reused by Trajan (r. 98-117 A.D.) as the foundation for a great complex of public baths. 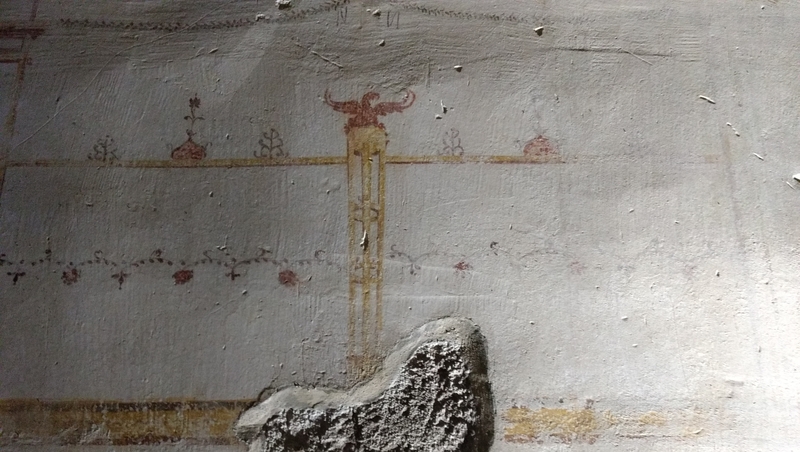 He tore the marble inlays, mosaics and frescoes off the walls and floors and reused them in the baths. The damaged walls were rebuilt with tidy bricks and the open spaces filled with soil. 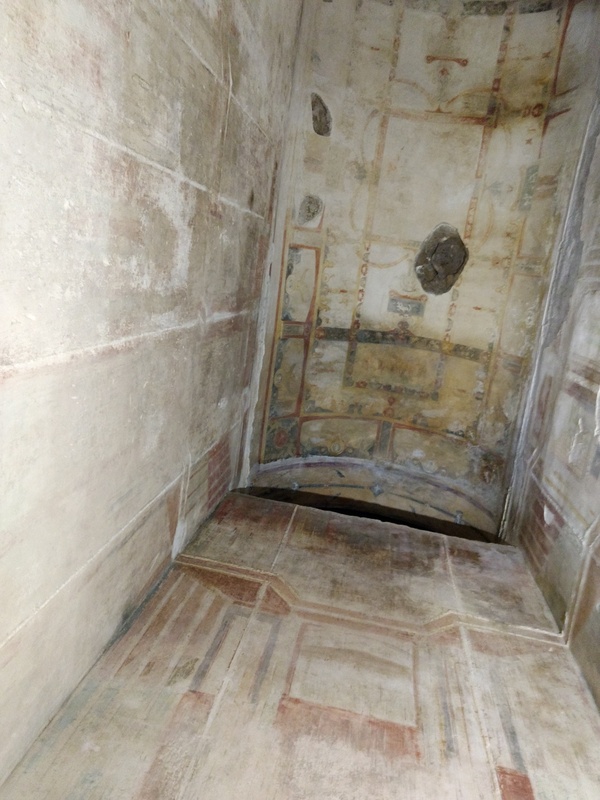 The Domus Aurea and Trajan’s Baths began to be identified correctly starting in the 18th century, and later excavations would ultimately reveal about 150 identifiable spaces from the Domus. 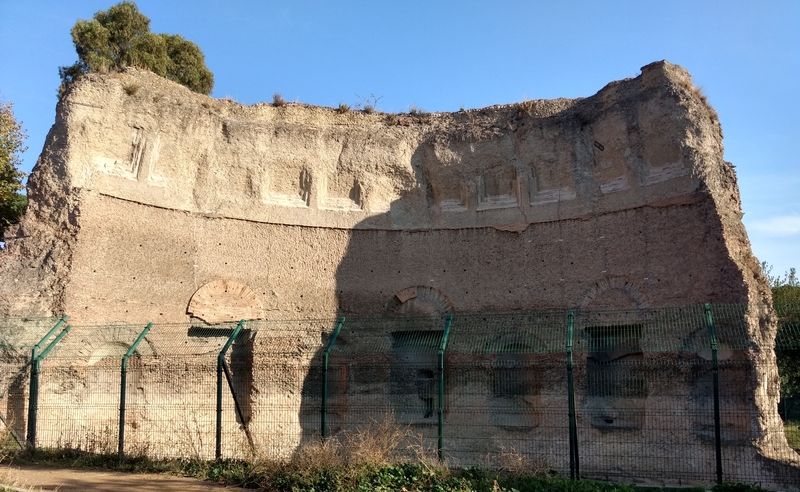 For many years, including all the years I lived in Rome as a child and young adult, whatever was left of Nero’s famous Golden House was closed to visitors. It was structurally unsound, prone to sudden collapses and moisture seepage that sometimes reached the level of outright waterfalls. So when I read that parts of it were reopening for guided tours with a new virtual reality element that recreated how the palace had looked in its heyday, I was more than up for it. To call this visit one of the highlights of my Romecoming is to vastly understate the case. It. Was. Amazing. Our guide was an archaeologist, deeply knowledgeable and brimming with love and enthusiasm for the incredible site. The site itself …. It’s sublime. Even denuded of all of Nero’s vanities, it still cannot be denied. Huge. Beautiful. Frigidly cold. And the virtual reality element was like the most fantastic rollercoaster ride I’ve ever been on. Without a doubt it is the greatest combination of ancient setting and cutting edge technology I have ever had the fortune to witness. It takes you on a tour through time, and even though you’re sitting down the whole time wearing a goofy VR helmet, you feel like you’re moving through time with it. I would do it every day if I could. This short film shows you some of the 3D reconstructed elements seen in the introductory video (which they awesomely projected on the brick wall of the Trajanic-era entrance hall) and in the VR experience. This is the money documentary that covers the four years of painstaking restoration done by hundreds of experts that made the reopening of the site possible. You need to use autotranslated closed captioning if you don’t speak Italian, and as usual the translations are pretty bad, but if you can stand to deal with the gibberish, it is worth it for the views of the space alone. This entry was posted on Saturday, October 21st, 2017 at 6:43 PM	and is filed under Ancient, Roma, Caput Mundi. You can follow any responses to this entry through the RSS 2.0 feed. You can skip to the end and leave a response. Pinging is currently not allowed. Awww – There is a cattus aureus (i.e. 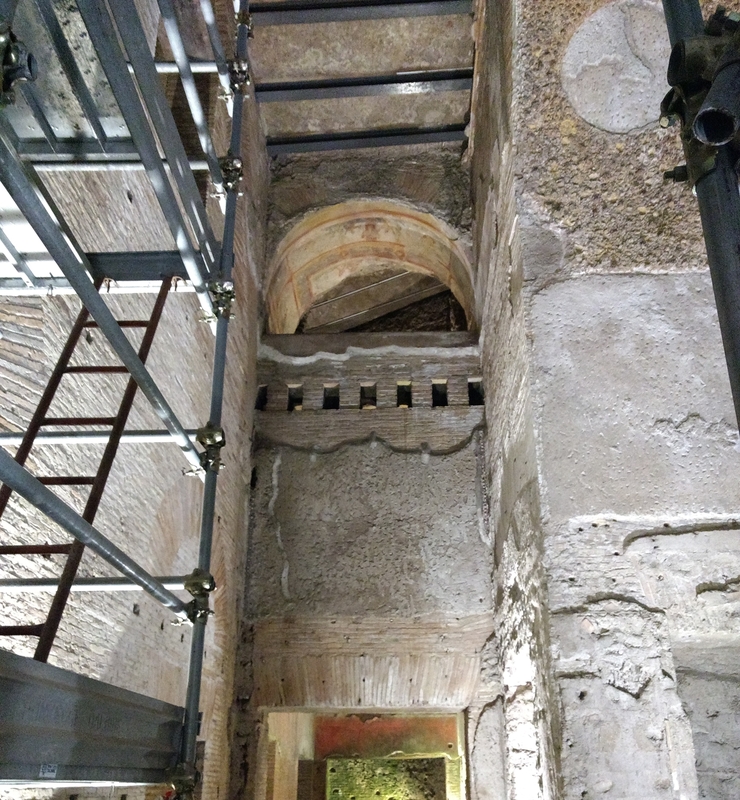 not a ‘nero’ one) lounging on the reclinatorium of the domus aurea ! I couldn’t agree with you more. 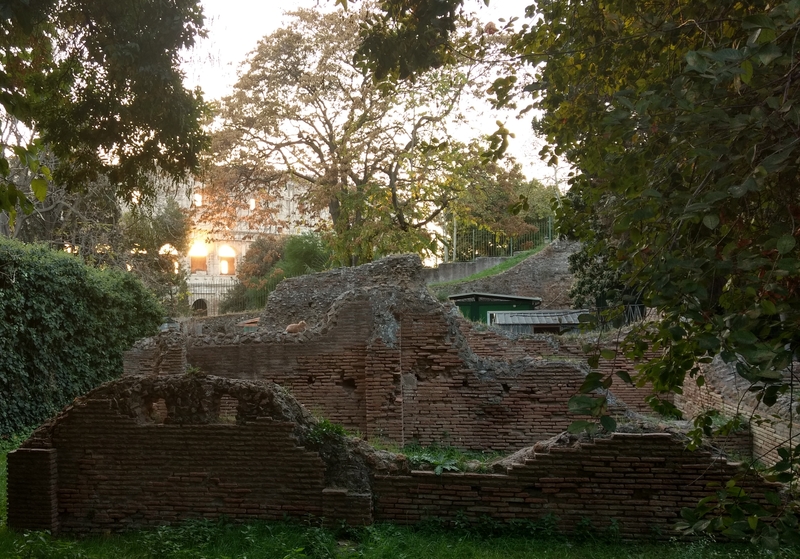 When that Trajanic wall tumbled down and the light poured in through the Neronian gardens, I instantly teared up. Even the movement through the flowers to the edge of hill was touching. The possibilities of this technology as applied to our experience and understanding of history are limitless. It’s actually quite easy to find now. With the Colosseum on your right, walk past the Colosseum Metro station on the left side of the road. Cross the street into the gates of the park and you’ll find yourself on the appropriately named Viale della Domus Aurea. The gates have a marble face of Nero on each side. His thick neck is unmistakable. Start walking up the hill and almost immediately you’ll see a short lane on your left leading to another smaller gate. That’s the entrance to the Domus Aurea archaeological site.